Above: Dr Jens Weidmann, President of the Deutsche Bundesbank, (C) Chatham House. The European Central Bank (ECB) should soon start discussing the end of its unprecedented stimulus programme in response to improving economic growth and inflation says Bundesbank president Jens Weidmann. Weidmann told German newspaper Welt am Sonntag that the ECB should not make any further changes to the key parameters of its bond purchase scheme. The comments signal the potential for the Euro to appreciate notably over coming months, provided other members of the ECB fall in line with the German. For those watching the Pound to Euro exchange rate, this could signal the potential for sustained downside. The ECB’s programme of buying bonds - known as quantitative easing - and keeping interest rates at record-lows, have been cited as being a key reason for persistent Euro weakness. Indeed, on most measurements the Euro should be substantially higher were it not for the artificial influence of the ECB. 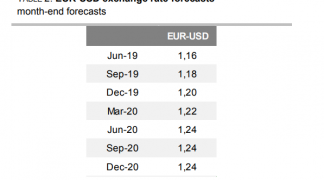 “Most valuation models, including PPP and current account-based FEER, indicate that EUR/USD fair value is between 1.25 and 1.35,” say UBS. 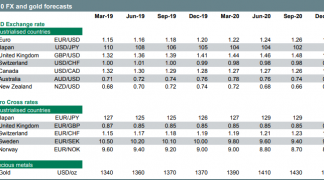 Although currencies can remain far from fair value for extended periods, UBS believe that over a longer time horizon EUR/USD should continue rising toward fair-value. The rise in EUR/USD will be felt acutely in the EUR/GBP rate. The ECB will have purchased 2.3 trillion euros worth of bonds, by the time the current stimulus ends. The programme has tended to find opposition by Germany who point out the devastating impact the ECB’s negative interest rates have had on savers. 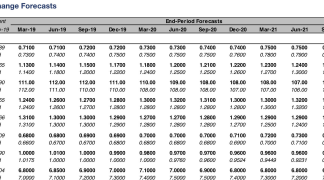 The purchases are set to run until December and the ECB will decide this fall whether to extend it in order to boost inflation further or to wind it down, or taper. "As far as a possible extension of the bonds-buying program goes, this hasn't yet been discussed in the ECB Council," Weidmann told the newspaper in an interview. "But in my view, if the solid economic development and price development continues, as expected, it would be time to take a look at an exit from the very easy monetary policies," he said. Having flirted with deflation for years, price growth is now firmly above 1 percent but will miss the ECB's target of almost 2 percent for years to come, its staff projections show. 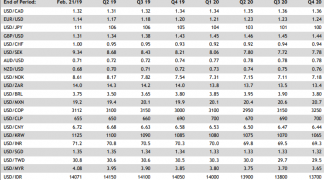 According to Reuters, a key issue is that self-imposed rules allow the ECB to hold up to one third of each country's debt and given Germany's relatively low debt burden, it is likely to hit this level in the first half of next year. Any meaningful extension would therefore require a change in the programme’s rules, a move Weidmann said he firmly opposed. This could well spell the end of the extraordinary stimulus and open the doors to a prolonged period of appreciation in the Euro. Euro-buyers, you have been put on notice. However, patience must be exercised as the great Euro rally is yet to get the greenlight. Monthly purchases under the quantitative easing programme have already been reduced once, but a decision on the future of Quantitative Easing later this year must be reached. The communication seems to suggest that we may be in for tapering next year. “Yet, on the ECB’s own forecast, there is still no sign on the horizon of inflation actually hitting the target, so why remove accommodation?” asks Erik Nielsen, Group Chief Economist at UniCredit Bank AG. If inflation extends its recent fall away from the ECB’s 2% target there remains solid justification for the ECB to extend its quantitative easing programme, despite the issue of running out of German bonds to purchase. So this mix should keep uncertainty alive for a little while longer and therefore hold the Euro to recent ranges against the Pound and Dollar. For immediate hints on this topic, keep an eye on the ECB Forum on Central Banking in Sintra, Portugal which starts at 6:30 B.S.T. The forum is an annual event where central bankers, academics, government officials discuss current issues. “The conference runs through Wednesday, and we’ll be keeping an eye out for any chatter on the sidelines, especially with regard to the ECB’s eventual tapering strategy,” says James Rossiter, Senior Global Strategist at TD Securities. "We will be especially keen to monitor Wednesday's Draghi-Kuroda-Carney-Poloz panel. We suspect Draghi will maintain dovish overtones when it comes to exit strategy talk, but we do think EUR has captured as much in the price."